Sorry for the week of silence, but it has been a busy one getting caught up with things after returning from Atlanta. We only have a couple weeks home this time before we will be gone every weekend through the first week of June. 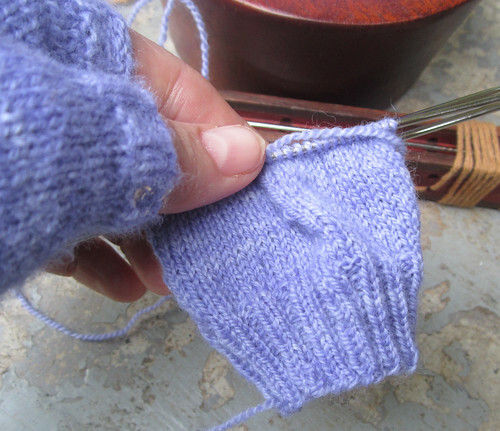 Anyway, this is my knitting progress for the interim. 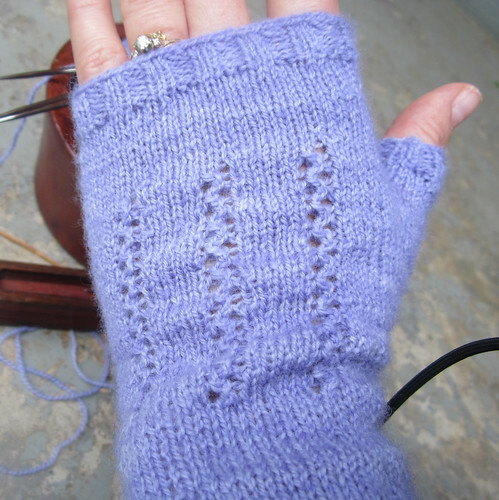 I finished the first Plain Jhayne..
and started the second one. Yep, That’s it. LOL! Look what goodies I got in the mail yesterday though! I pre-ordered the new Nook Simple Touch with Glow-light on the day they were available and it shipped a week early. I really like it. 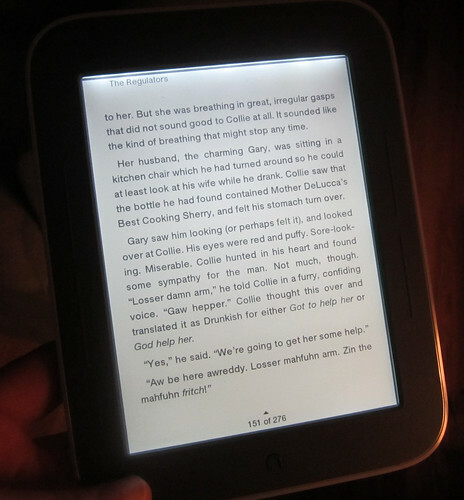 I love reading on the e-ink screen but the attached light needed for low light is a little bit of a nuisance, and boy! was I going through batteries! This is the perfect answer. 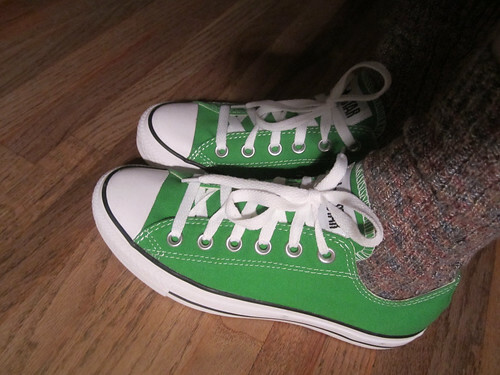 I also got a new pair of Converse in a gorgeous green. What else? LOL! 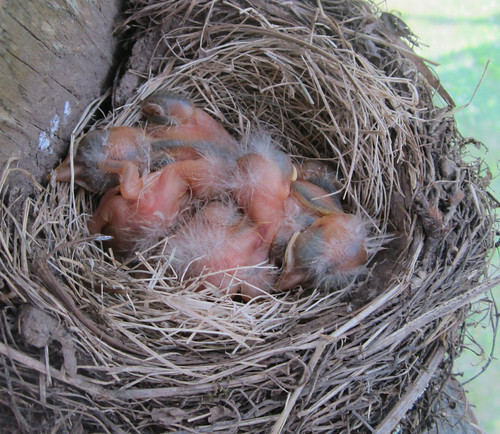 Oh, do you remember the Robin eggs I showed you a couple weeks ago in this post? To my surprise they are newly hatched and hopefully well cared for. I was out enjoying the warm afternoon and taking a few pictures of the children playing (below) when I decided to go up in the tower and check the nest. They are kind of cute aren’t they? 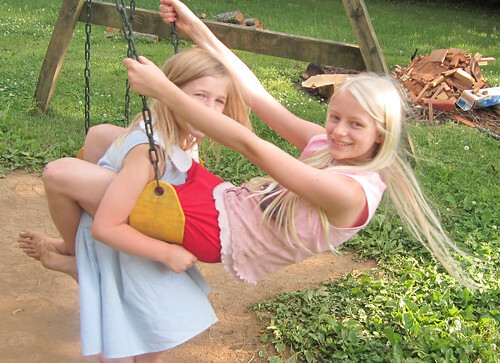 I’ll try to keep updates coming but don’t want to disturb them too often since I don’t want to scare off their parents. 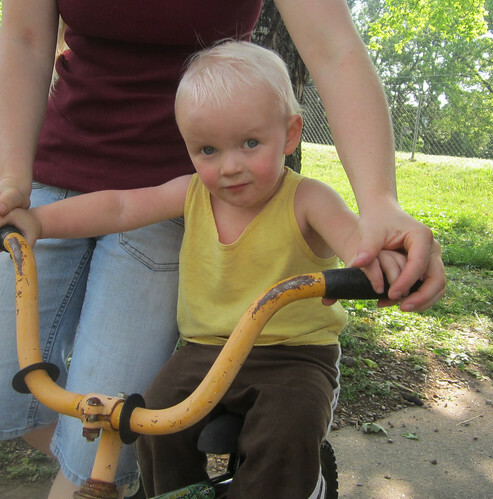 Can you believe how big Elijah looks here? He is almost 22 months already and all boy for sure. 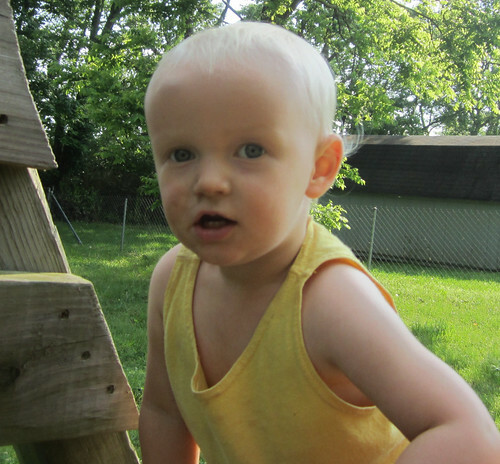 He loves to climb and explore like all boys are born with an inclination for doing. 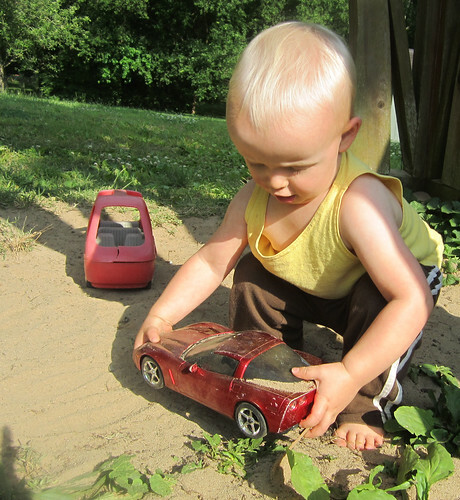 It never ceases to amaze me how they are all instinctively drawn to vehicles and machinery too, LOL! Oh those leeedle robins!! Are there 4? 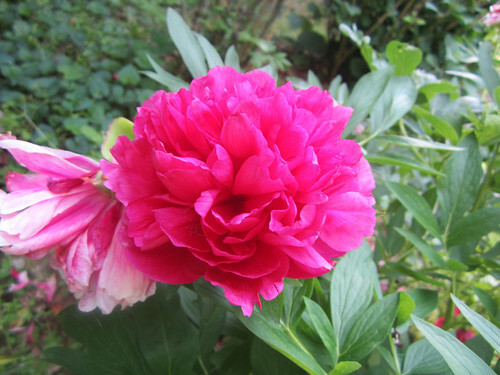 …and peonies already. My sprouts are still red and maybe 8 inches tall. They’ll take another 2-3 weeks to bloom. Yes, there are four. And yes, the Peonies are a little earlier than usual, but not by much. I think we see them by early May. See you soon!